Competitors roll into the opening ceremonies of the first Paralympics, held in Rome in 1960. Five U.S. wars and 64 years later, the Paralympics are set to complete a bittersweet roundtrip, in both place and purpose. The 2012 Paralympics, the planet’s second-largest sporting event, open Aug. 29 in London – where a doctor first imagined that an Olympic-like competition might push paralyzed British fighter pilots to recapture their independence. The American team soon bound for England contains 20 athletes who have worn the stars and stripes. They include world-class cyclists, sprinters and soccer players. All are veterans or active-duty service members, six of whom were wounded in combat. The wars in Iraq and Afghanistan have created an unintended byproduct: a growing pack of elite, disabled athletes – men and women who yearn to challenge their battered bodies and, they hope, to outrace and outscore some of the best in the world. “In our circle, the Paralympics is just as coveted as the Olympics and we train just as hard for it,” said retired Marine Rob Jones, who lost both his legs above the knee after an IED blast two years ago in Afghanistan. He began his quest to make the U.S. Paralympic rowing squad in 2011. “I wanted to compete, you know, do something. 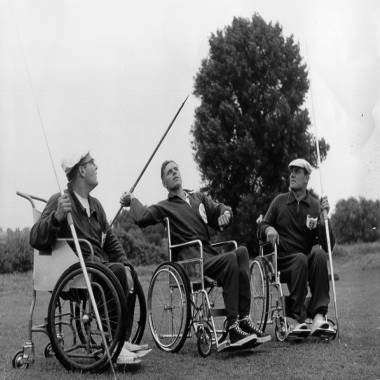 Three paralyzed British fighter pilots compete in the javelin toss at the Stoke Mandeville Games, predecessor of the Paralympics, near London, circa the early 1950s. In two words: forward motion. In 1948, that was the then-radical notion of Dr. Ludwig “Poppa” Guttmann, a neurologist who treated spine-injured British flyers at Stoke Mandeville Hospital northwest of London. He ditched the accepted medical thinking of the day: that paralysis meant a stagnant life and an early death. On the same afternoon that athletes from 59 nations marched into nearby Wembley Stadium for the opening ceremonies of the London Summer Olympics, Guttmann gathered 16 former service members on the lawn outside his hospital for an archery contest. One year later, more patients from more hospitals participated in the newly dubbed “Stoke Mandeville Games.” In 1952, a military hospital in Holland asked if it could send its own group of veterans to compete, according to the International Paralympic Committee website. By 1954, Egyptians, Australians, Canadians, Israelis and Finns also were vying for victories in table tennis, javelin and water polo. “Dr. Guttmann’s mantra was: They were going to be productive citizens and they were going to use sport to accomplish that,” said John Register, associate director of community and military programs for the U.S. Olympic Committee’s Paralympics division. He also is an Army veteran of Desert Shield and Desert Storm – and an amputee who swam at the 1996 Paralympics in Atlanta and who earned a silver medal in the long jump at the 2000 Paralympics in Sydney. “Warrior athletes were at a high-functioning level before they were injured. The fighting soldier is just a person who is extremely professional in what they do,” Register said. “After injury, sports can be a very strong conduit to get back to that active lifestyle. “When you incorporate the esprit de corps at military installations where these warrior athletes are healing," Register added, "then they push each other to be better than they were the day before." 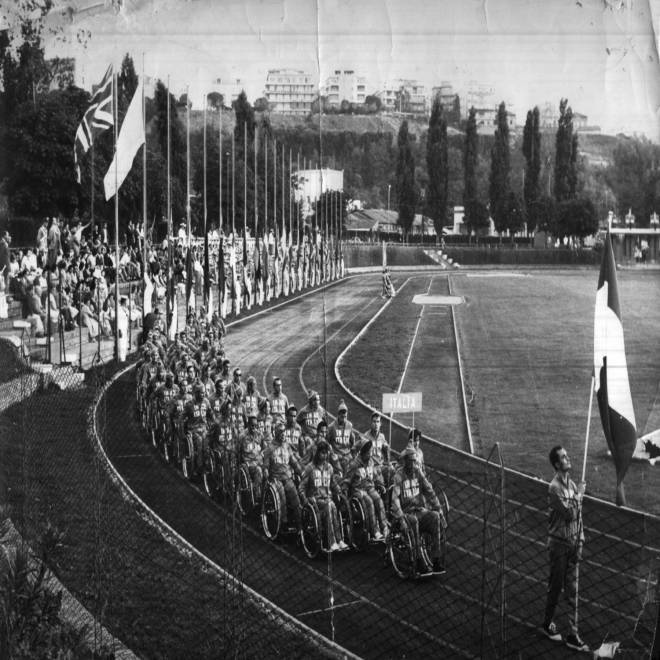 In 1960, 400 athletes from 21 nations arrived for the first Paralympic Games in Rome – held after the closing of the Summer Olympics in that same host city. As with every Paralympics since, the swimmers, racers and ball players used the Olympic venues to claim their own gold, silver and bronze medals. While the Paralympics have steadily expanded, the wars in the Middle East have slowly nudged the international sporting event back toward its original intent, helping wounded veterans find and reclaim their former identities, Register said. 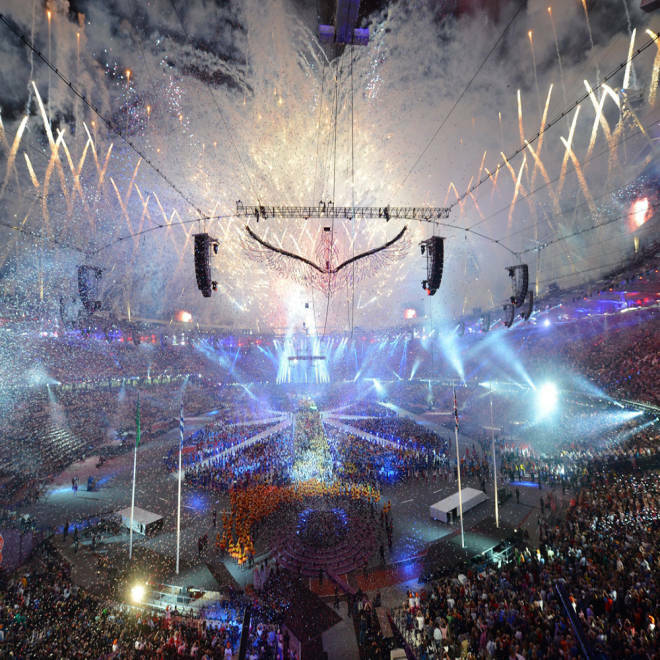 The 2012 Paralympics – the largest ever – will span 140 countries, more than 4,000 athletes and 20 sports. Ticket sales already have topped 2 million, outstripping the crowds in Beijing. And this year, current and former military members make up nearly 9 percent of the 227-person American roster – almost 2 percent higher than on the 2008 U.S. team. That list includes Lt. Brad Snyder, a former Navy bomb defuser who lost his vision after an IED explosion in Afghanistan on Sept. 7. 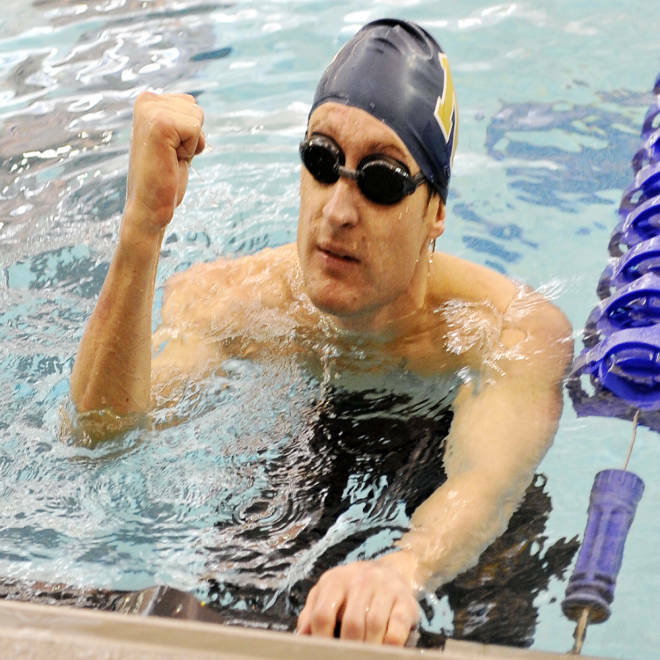 Once a Naval Academy swimmer, Snyder has a chance to grab gold in at least two swimming events, including the 400-meter freestyle – to be held one year to the day after he was permanently blinded. Register has been preaching that message for years in his job at the USOC. He enlisted in the Army in 1988 after an All-American track career at the University of Arkansas. Following Desert Storm, he stayed in the Army, which allowed him to train part-time for a spot on the 1996 U.S. Olympic track team. In May 1994, as he was leaping over a practice hurdle, Register landed awkwardly, severing an artery in his left knee. The injury led to an amputation. His physical therapist suggested Register add swimming to his exercise regimen. He was so fast in the pool, however, that he snared a spot on the 1996 U.S. Paralympic swim team. After devastating injuries of that sort, especially after people lose parts of their bodies, they often ask: “Who am I now? Am I still that husband to my wife, or that wife to my husband? Can I still be employed?" Register said. "Those are the questions. Through, sports, they search for the answers.